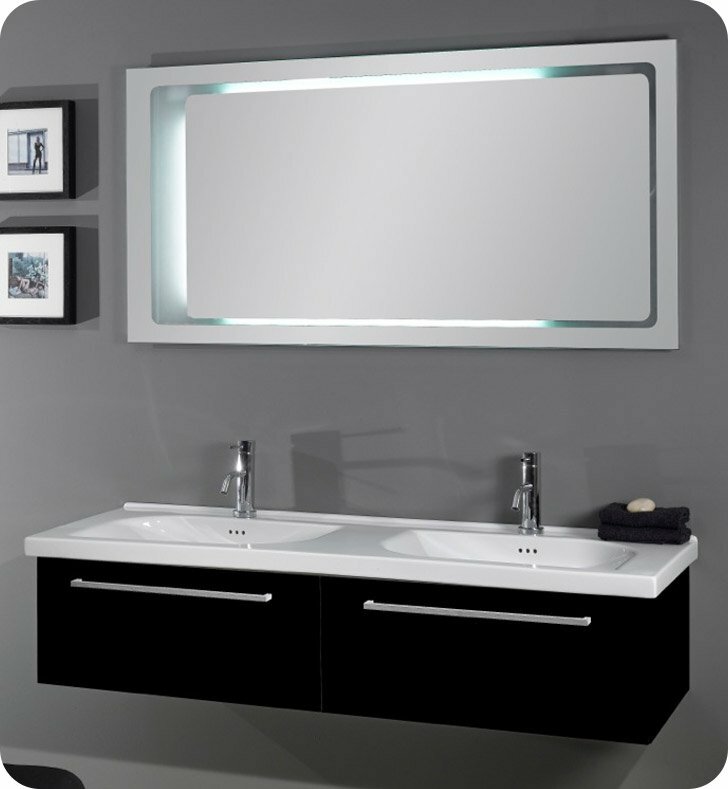 A luxurious bathroom vanity made in high-end wood and finished with glossy white or glossy black. This bathroom vanity from the Iotti Fly collection is a contemporary-style bath vanity. Made in and imported from Italy. Perfectly compliments your decorative personal bathroom. 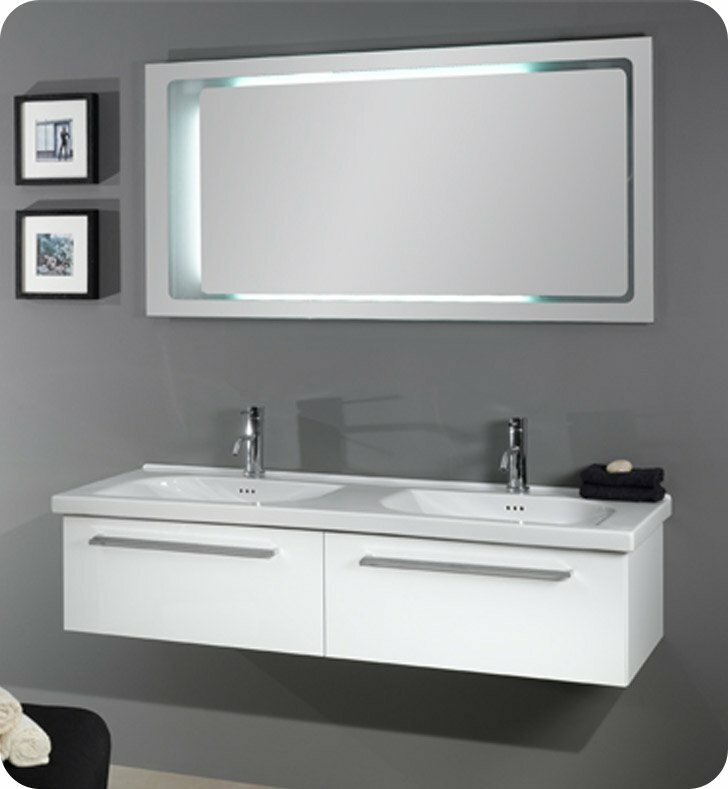 Mirror: back light: Horizontal sand edge: H: 27.5" x W: 55.1"
Vanity unit for play sinks: glossy white finish: H: 11.9" x D: 18.9" x W: 55.5"
Vanity: W 55 1/2" x D 18 7/8" x H 11 7/8"